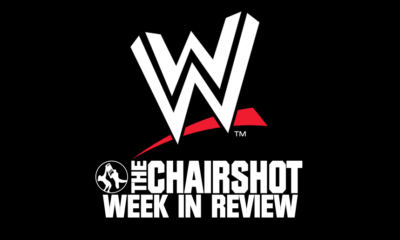 You liked how I and Andrew covered the Champion Carnival, King of Gate, and the G1 Climax? Well, guess what? 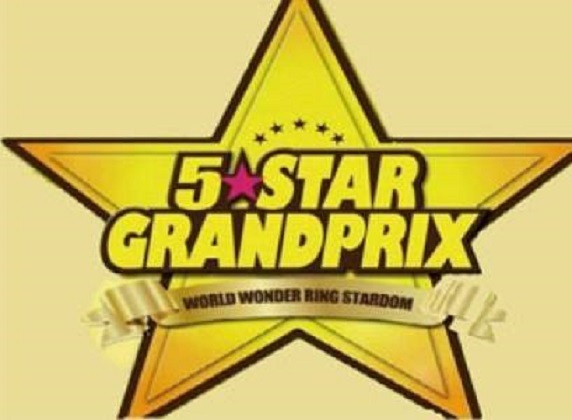 We’re teaming up once again and this time we’ll be covering Stardom’s tournament, the Five Star Grand Prix! 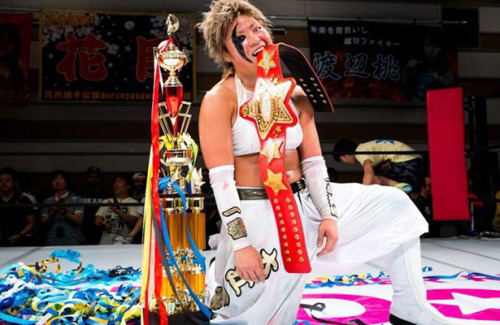 This year marks the seventh annual tournament and just like the other ones we cover, the winner will be getting the World Championship match against the current champion, Kagetsu. 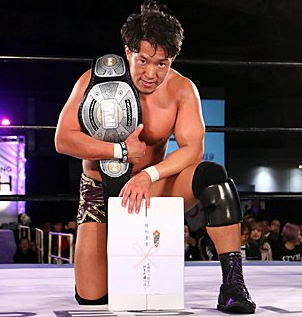 In 2012, Yuzuki Aikawa defeated Kyoko Kimura to win the first Grand Prix and other people have won it such as Nanae Takahashi, Io Shirai, Kairi Sane (Hojo), Yoko Bito, and Toni Storm who won it last year and won the title due to Mayu being injured during the match. The rules are pretty much similar to the other tournaments, but we’ll still go down the list for those that don’t know. 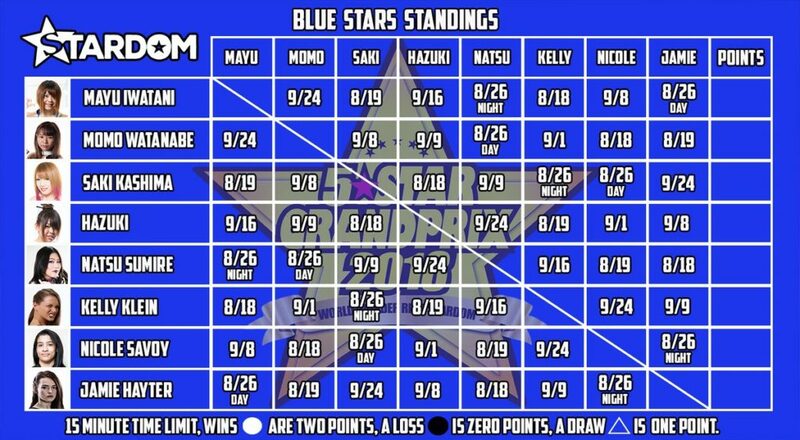 Instead of just calling them A and B Block, they just call the blocks Red Star and Blue Star just to fit with the theme of the promotion with stars. Andrew will be covering the Red Star and I’ll be covering the Blue Star. Down below are the list of participants and we’ll be picking our top three winners from our respective blocks. 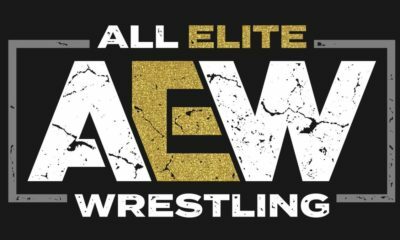 – It’s no secret that the Stardom President, Rossy Ogawa is a big fan of bringing Gaijins in his promotion and likes to push them quite a lot and unfortunately, we lost quite a few good ones like Toni Storm and Deonna Purrazzo, and now it just felt like the company was given the scraps for the regular tours. However, we got quite the solid line up of talented female wrestlers from around the world and Kelly Klein is no stranger to the company as she won their Goddesses of Stardom Tag League with Bea Priestly last year, so this could be a good time to elevate her to that next step. It may be unlikely, but again, Rossy loves to push the Gaijins in Stardom and feels like Kelly could fit the bill unless they want one of the champions from the other companies like Nicole Savoy and Jamie Hayter to get the win, but feels like that might be predictable. – This one seems very unlikely, but I feel like she could be a dark horse of the Blue Star Block if they really wanna go with the Oedo Tai vs. Oedo Tai route for her against Kagetsu. Hazuki has made some dramatic changes ever since she got drafted from Queen’s Quest to Oedo Tai and just changed her look, her style, and just her outlook while showing great character progression. She recently came off a big loss from Momo Watanabe for the Wonder of Stardom Championship, but she has a second chance at her due to them being on the same block and hopes to beat her there this time. 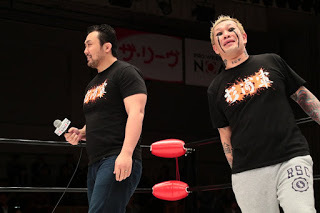 If she does somehow win the tournament, I wonder how Kagetsu will take it, will she be accepting of it like how Naito is and fight to strengthen their bonds or will Hazuki betray the faction that took her in and treated her like one of their own. 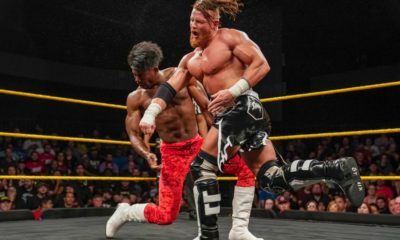 – This one is more of favoritism than anything since it does feel like the more obvious choices to win the tournaments have actually lost them near the end. She recently fought Kagetsu for the World of Stardom Championship on August 12th and she once again failed to capture the red belt, so they could either do this as a redemption story for her to win it this time around or to help build someone else up to delay her chase for the title. 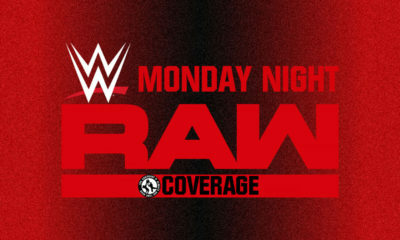 Both seem very well likely scenario’s as she has been building herself up since her return almost a year ago to reclaim the belt she never fully lost and this might be the time to cash in on it. – This one is purely personal preference. She’s only been professionally wrestling for 2 years, but her character work makes her cute and she’s been gradually getting better. She seems to be developing some chemistry with Starlight Kid and a few others, as well as picking up a few wins since he Exploding Barbed Wire Death Match. She even won the mini Dream Come True tournament that Stardom and RISE held. She’s a long shot definitely, but I’m curious to see how hard they push her. – It’s hard to think the champion will have a bad showing. 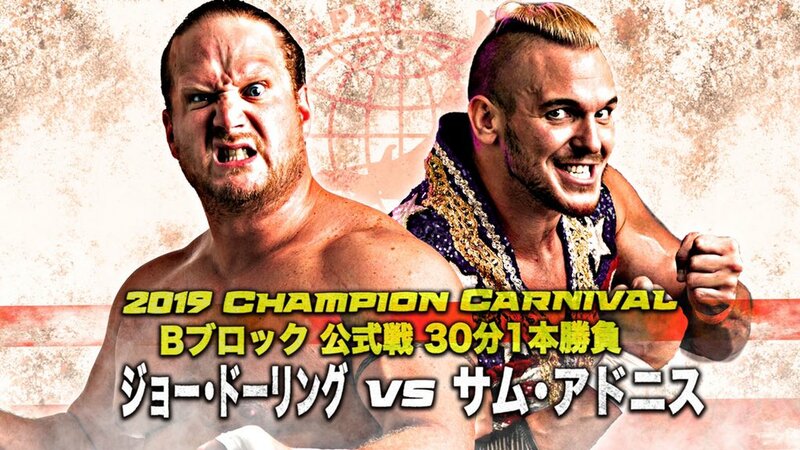 Now I’m aware this tournament doesn’t have the same history as the G1 or Champion Carnival, but I’m still not sold on a champion winning the tournament. There’s always a chance, and Kagetsu has been being billed well since Io Shirai left, even avenging her Tag Title loss by successfully defending against Mayu Iwatani. Plus she’s the Prime Minister, so most champions can’t say that…maybe that will make her special. – Up, up, down, down, left, right – wait…what? Konami code makes all things easier, so she’s gotta be good right? Well I mean, she is a technical wrestler and part of Queen’s Quest. So being that she’s up and coming, as well as having a connection to Io, that could be what’s necessary to give her the rub. 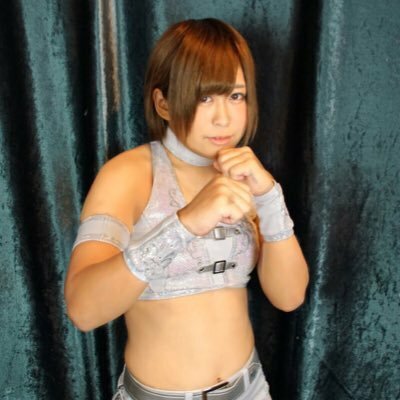 Another notable point for Konami is her being trained by Kana (WWE Asuka). 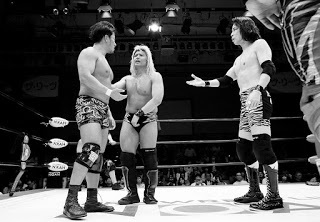 So since Stardom needs to reestablish their main event, Konami could be a good catalyst. As you know, my block record has been pretty bad since even though I got most of the actual winners right in these, they would come from Andrew’s Blocks, making me 0-3 on my blocks winning the whole thing, but I kinda feel lucky on this one…hopefully. Anyway, here are both me and Andrew’s predictions for block winners and final winner. 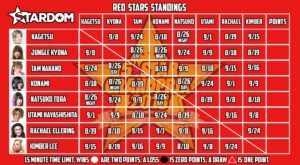 If you wanna check out the tournament, it starts on August 18th and it ends September 24th and subscribe to Stardom at http://www.stardom-world.com/ and subscription is really cheap since it’s only 6.50 a month and even has English subtitles for their promos so it would be easier for you to follow. Unfortunately, the bad news is that it’s not like the other streaming services where they would upload the whole show once it’s over and likes to do it in loops meaning the full show wouldn’t fully be loaded between a week or two after it happened. But we do promise that once we have enough content to write our articles in parts, we’ll have it to you ASAP. 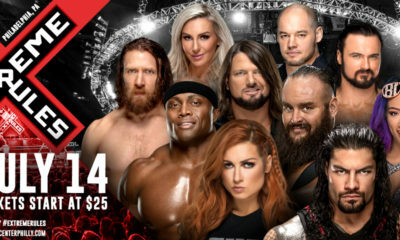 I hope you do check us out on this one and we feel like it’s a good idea to showcase the women for this tournament due to them deserving more exposure, especially around the time of the Mae Young Classic and WWE Evolution happening right around the corner from it. Hope you all enjoy it as we do this next journey together!